Ivetthe Colio taught in Beijing, China for three years. 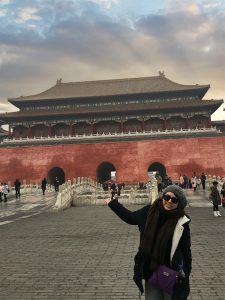 After obtaining her California Teaching Credential in elementary education at San Diego State University, Ivetthe Colio taught locally for one year, then saw an opportunity to teach abroad. 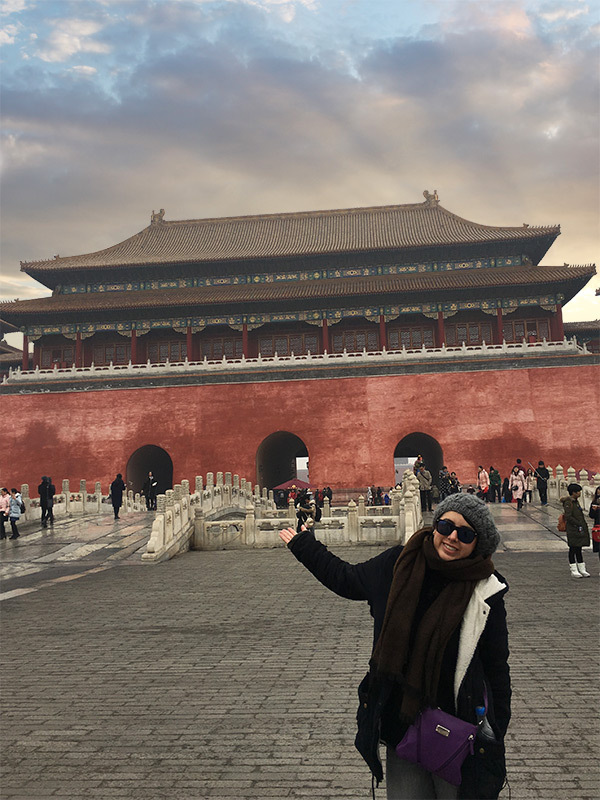 “The idea to continue learning and enhance my perspective of the world seemed very appealing,” says Colio, who landed a teaching job at an international school in Beijing, China via Skype interview. SDSU’s two-year program for clearing Multiple and Single Subject credentials helps new California educators complete the second tier of credentialing required by state law. The program is accredited by the California Commission on Teacher Credentialing, which sets the standards for professional educators in the state. Colio has since returned to the United States and secured a bilingual (English/Spanish) teaching position with the Valley Center – Pauma Unified School District, just down the road from where she grew up. Colio answered a few questions about her career and her journey through SDSU’s Teacher Induction program. What was the focus of your Individual Learning Plan? I shared my current teaching situation with the program. My professors worked around my particular location and demographics in order to help me create goals that would be challenging but attainable in my own classroom. Ultimately, I was able to clear my preliminary teaching credential all via my online course work and within the school I was at. Overall, it was fantastic to refresh myself with the California requirements and learn new ways to reframe and challenge myself as an educator. Give us an example of how you interacted with cohorts and your mentor. The communication was very positive! The courses offered discussion boards where I interacted with my classmates and mentors to share ideas and suggestions. One particular course required us to upload videos of each other and to provide feedback. That was a great resource to see myself in action, uncut and unfiltered. From my mentors, I would regularly receive same-day replies to my emails. I even conducted a Skype phone call once with my mentor! I always felt connected. 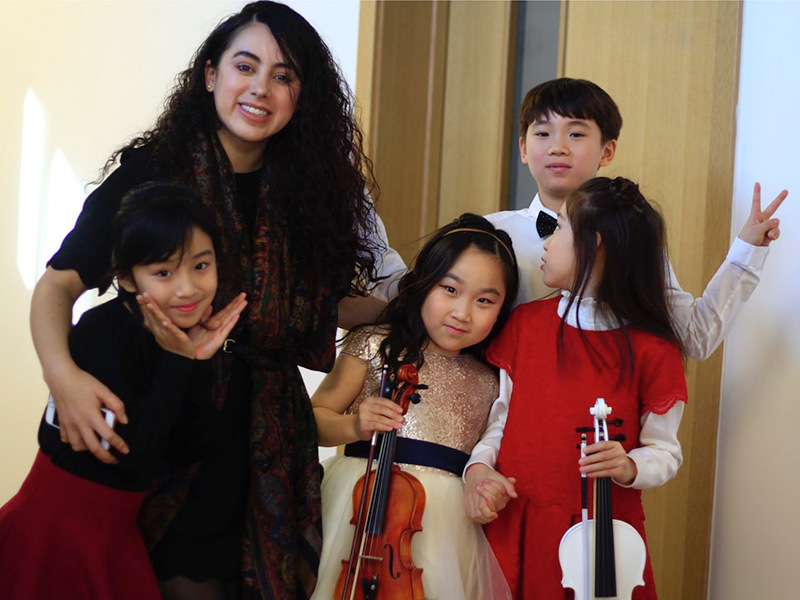 Ivetthe Colio and her students at an international school in Beijing, China. How did you implement your learning into the classroom? I recently moved back to California and feel very confident about my teaching abilities. I’m well aware of my strengths and weaknesses after having participated in the video feedback/discussion boards. In a recent job interview, I was asked “What is a weakness you are continuing to improve upon?” Having completed the program, I answered confidently. I shared that a particular weakness of mine was still in the area of assessing students, and I wanted to continue developing my abilities in collecting and analyzing data. I learned from the program the importance of using data from a variety of sources to support my students’ learning. Now that I have accepted the position with my new school, I’m focused on interpreting the data I collect and hope to continue improving as time goes by. The program really makes you reflect on your current teaching practices. It asks you to look at your campus and individual classroom in a big-picture way. It makes you ask yourself what perhaps you could be doing better. Working alongside colleagues who are in the same boat is very motivating. I found myself very inspired, and pushed myself to ensure I was doing the most I could for my students. I knew I wanted to be around people. I knew I wanted to be of service. I also knew I wanted to have a job that would allow for creativity and ultimately make positive contributions to the world. I’m glad I chose teaching as my career! Now that my teaching credential is clear, I’m starting to think about my masters! How great would it be to continue being an Aztec? That would be phenomenal! The application deadline for the Spring 2019 cohort of SDSU’s Teacher Induction program is December 17. The program is aligned with the new standards for teacher induction programs that were released by the California Commission on Teacher Credentialing in 2016.